2:40pm–#Bridgeport Connecticut–Police, fire and marine units were called to West Beach at Seaside Park for a water rescue. Heavy surf (well for our area) and loosening swimming buoys may have been thought to be what appeared to be someone in the water. First responders extensively checked the area and found no one in the water. 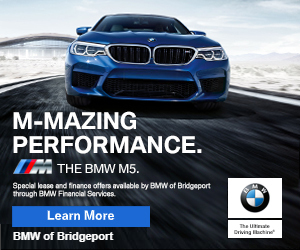 1:44pm–#Fairfield Connecticut– Police apprehend an woman who allegedly shoplifted chicken wings and cosmetics that she concealed. She did purchase other items which she used the self checkout. Fowl play is suspected. For the freshest chicken and meat please visit our sponsor! 10:50pm–#cttraffic–Here is a tractor trailer on the Merritt Parkway northbound near exit 38. State police on the way.